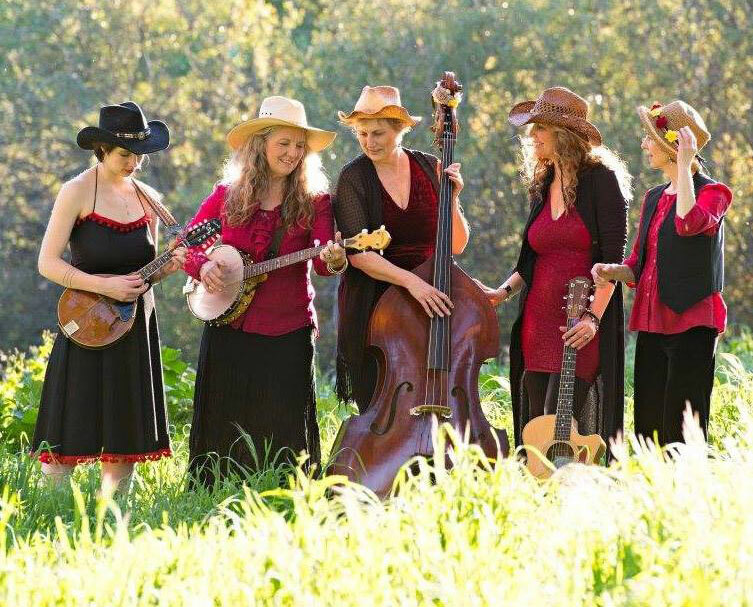 The Honeysuckle Possums are a five-woman string band, playing old-time, original, and bluegrass-style mountain music. The three lead singers, Susan Marie Reeves (guitar, strum-stick, ukulele): Rebecca Troon (banjo, fiddle, bodhran, tin whistle) and Sierra Reeves (guitar, mandolin, bass) are all accomplished songwriters. Lisa Macker plays stand up bass and mandolin and joins in on harmonies, while Ruth Alpert is the band’s dancing percussionist…an Appalachian-style flat-footer, who seems to float as she makes it easy for the crowd to dance and clap along. 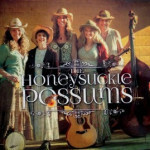 The Honeysuckle Possums have played all over California, Oregon and Colorado and continue to gain praise wherever they go for their beautiful vocals, carefully crafted harmonies, and spirited style. They have performed at the Goleta Old Time Fiddlers Convention/Festival, the Parkfield Bluegrass Festival, & The Rockygrass Bluegrass Festival Band Competition to rave reviews. They will be appearing at the Father’s Day Bluegrass Festival in Grass Valley this summer for the first time. The Possum’s intention is “to create and share bliss through music”. Their collective joy onstage is positively engaging, and their performances are carried on a strong current of love and friendship. “Possum” audience members find that energy irresistible, often dancing, singing, and clapping along.